Thank you for visiting our Grand Rapids Dealer's Listing! Serving the following areas in and around The State of Michigan: Muskegon, Plainwell, Lansing, Detroit, Flint, Allegan, Battle Creek, Grand Rapids, Iron Mountain, Kalamazoo, Portage, Traverse City, Wayland. We represent the most responsive Western Michigan AMSOIL Supply and service, and the top 10 in new accounts in the US. We can meet any need. Both of these dealers will ship anywhere in the US from our 11 warehouses. Be sure to look at our new oil and air filters which use nanotechnology for 100% guaranteed filtration. Please examine the Absolute Efficiency Air Filters or the 100% efficient at 20 micron Ea Oil filters. Remarkably these match the general interval AMSOIL engine oils are famous for which is 25,000 miles. In Hampton this saves people money. 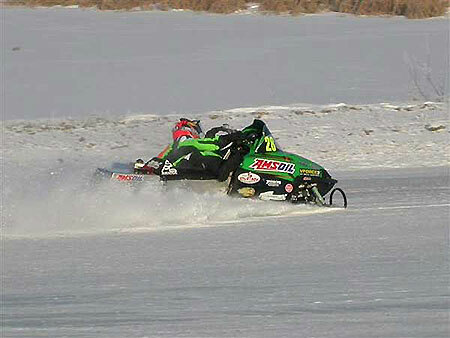 Detroit, MI ~ The first test at Winter X is over for Team AMSOIL/Scheuring Speed Sports pilots Dennis "D.J." Eckstrom and Carl Schubitzke. Both riders ran strong during Monday night's qualifying rounds, which was aired worldwide on ESPN and ABC. Watch TEAM AMSOIL in the January 2006 X-Games in Aspen Colorado. AMSOIL Motorcycle oils contain additives for rust protection allowing Michigan bike owners to store their bikes in the winter and not worry about any condensation problems. Rust protection has never been a part of a motorcycle oil because it conflicts with temperature control but AMSOIL has found a solution to the problem. Michigan climates can be brutal on lubricants. 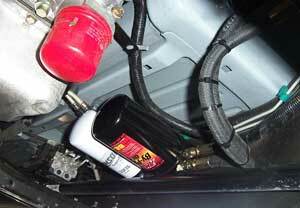 AMSOIL of Detroit has this problem solved. Try the AMSOIL ACD Heavy Duty 10W30/SAE 30 Diesel Motor Oil and ATF Universal Automatic Transmission Fluid. We also offer very specific product applications such a 5W30 transmission fluid, industrial lubricants or a large selection of powersports synthetic oils and filters. Local Grand Rapids demand has created a great need for AMSOIL dealers in this area, especially in the outlying areas towards Ann Arbor. Micigan is tops in AMSOIL demand. We need dealers. You get excellent support from myself as I am part of one of the most resourceful AMSOIL dealer groups in the country. We can send local and web generated leads your way. The #1 question we get from local customers is, "Where can I find AMSOIL here in Plainwell?" or any other city.